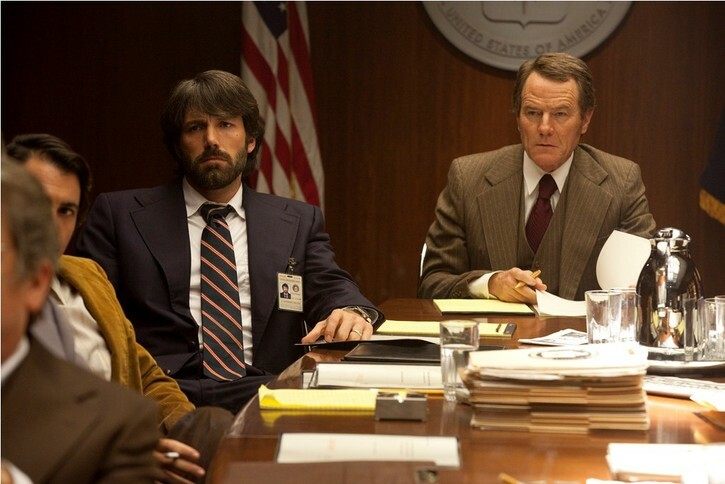 They say truth is stranger than fiction, and that is certainly true in the case of Argo. The film is based on a little-known event that occurred during the Iran hostage crisis of 1979. Ben Affleck, who both directed and starred in the film, tells the incredible story of the daring rescue of six people stranded in Tehran during the standoff between the U.S. and Iran. 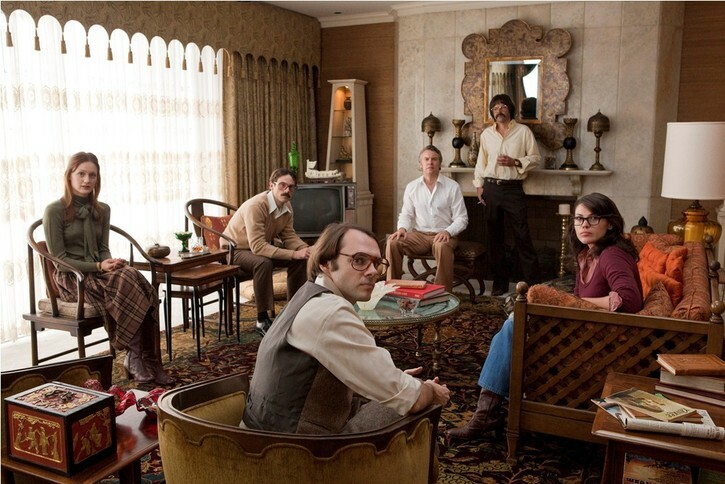 Argo is a tension-filled drama that hooks viewers in, not letting go until the end. The detail is spectacular, bringing back the atmosphere of the times in a “you are there” kind of way. This was one of the best films I have seen that was released in 2012. During the 1979 takeover of the American Embassy in Iran, six Americans were able to flee the building and take refuge at the home of the Canadian ambassador. There they were, stranded, unable to leave the country with their own passports. New identities needed to be created in order to get them through airport security and fly them out of the country. After bantering around various ideas, CIA agent Tony Mendez (Affleck) comes up with the idea of posing as a film production crew scouting for locations in Tehran. It sounds crazy, but it was the only rescue option with any plausibility. In order for the plan to work it had to be are “real” as possible. Mendez hooked up with some real Hollywood players, including Academy Award-winning makeup artist John Chambers (John Goodman). The film begins with a thumbnail history of Iran in order to provide some historical context for the events of the film. Some of the facts are simplified for the sake of not bogging down the film with a very complicated political situation. Though Argo is set against the backdrop of one of the most explosive political situations in recent history, the film is not really about politics. Certainly they play a factor, but this is not a film that takes sides. It mentions mistakes and bad policy all around, but it doesn’t judge those things. Instead they are further context for the situation at hand. It is pretty incredible to see how just a handful of ordinary citizens could be so impacted by events well beyond their control. The film is tense and exciting, and even manages to work in some humor on occasion. Most of the humor comes from the production team working with Mendez. In addition to Chambers, Mendez hooks in aging film producer Lester Siegel (Alan Arkin). Unlike Chambers, Siegel is a fictitious character. Siegal and Chambers go into pre-production on a sci-fi screenplay called Argo as Mendez sets up the cover for the six stranded Americans. As things come together, the ludicrous-seeming scheme starts to look like it could really work. There are a lot of late ‘70s pop culture references in Argo, including nods to Star Wars and Planet of the Apes (Chambers won an Oscar for his makeup work on the original film). These relics aren’t there just for the sake of nostalgia, they play important role in the success of the plan. Why would everyone so easily buy the idea of a schlocky sci-fi film like Argo? Because in the post-Star Wars world, Hollywood was hot for science fiction. Dozens of sci-fi scripts were being optioned in an effort to cash in on the phenomena. No one questioned the outlandish script or crazy costumes worn by actors during a script reading for the press. Soon ads and articles for Argo were running in all the Hollywood trade magazines. It’s the detail that makes Argo great. Sure, some events were changed for dramatic effect. The film is “based on” the real events, it is not an exact recreation. The thing about real life is that it doesn’t play out in three acts, with escalating circumstances that culminate in an exciting climax. What does lend credibility to the film is the participation of the real players of the event. The final credits of the film even include a brief voiceover by President Jimmy Carter, discussing his knowledge and feelings about the situation. 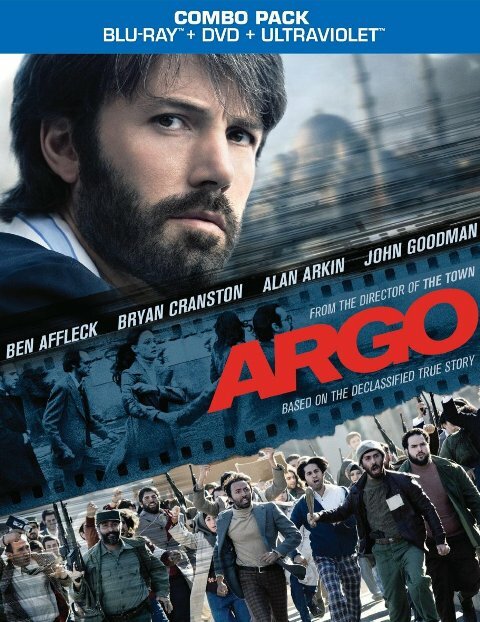 The events depicted in Argo remained classified until 1997, leaving it a nearly forgotten chapter in history. Many of the six “house guests” (as they were referred to during the film) participated in interviews for the special features, corroborating much of what was depicted in the film. The 1080p, AVC-encoded transfer presented on Blu-ray is always visually interesting thanks to cinematographer Rodrigo Prieto’s everything-but-the-kitchen sink approach. The final cut includes footage shot digitally as well as on 35mm, 16mm, and 8mm film stocks. There’s also a bit of vintage standard definition video footage from 1979-80 news broadcasts. Remarkably it all holds together perfectly. 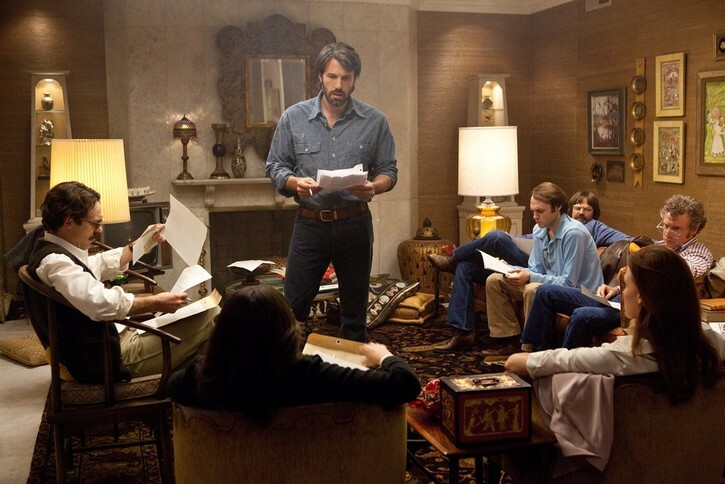 Affleck succeeded in making Argo look largely like a film made during the era in which it takes place. There’s a fair amount of film grain visible to varying degree. The color palette is subdued, dominated by earth tones and dark hues overall. The copious CG effects bend in with the period look seamlessly, a testament to the uniform excellence of the visual presentation. The Blu-ray excels in terms of special features. Best of all is a fascinating picture-in-picture option called “Eyewitness Account.” The real Tony Mendez, President Carter, and several of the real-life house guests appear on screen, sharing their personal accounts of the actual events. If you want sort of a condensed version of this, “Rescued from Tehran – We Were There” is a 17-minute featurette with the same participants. Other newly produced featurettes include “Absolute Authenticity,” which details Affleck’s efforts to stay true to the period, and “The C.I.A. and Hollywood Connection.” Director-producer-star Affleck and screenwriter Chris Terrio contribute an informative commentary track. The 45-minute 2005 documentary Escape from Iran – The Hollywood Option provides a great companion piece as it sticks to the facts of the so-called “Canadian Caper,” without the various embellishments added to Argo for dramatic effect. With expert pacing and effortless natural performance by the ensemble cast, Argo deserves the lavish praise it has received. Following his interesting 2007 directorial debut Gone Baby Gone and his 2010 follow-up, The Town, Ben Affleck has now cemented his status as a major director. With solid technical presentation and special features that truly enrich the viewing experience, Argo isn’t just a great movie, it’s also a great Blu-ray. I am one of those people that hasn’t seen this yet! It is on my Netflix list, but it isn’t out until sometime in March. I am really eager to see it!